N O T E: This is a post and guess thread. - crimio can now have the privilege to put 4 guesses in his posts instead of just 3. - Cheating is STRICTLY FORBIDDEN here. 2 points for guessing the right Province ( There are currently 33 Provinces and the Special Capital Region of Jakarta in Indonesia). 3 points for guessing the right City / Town . 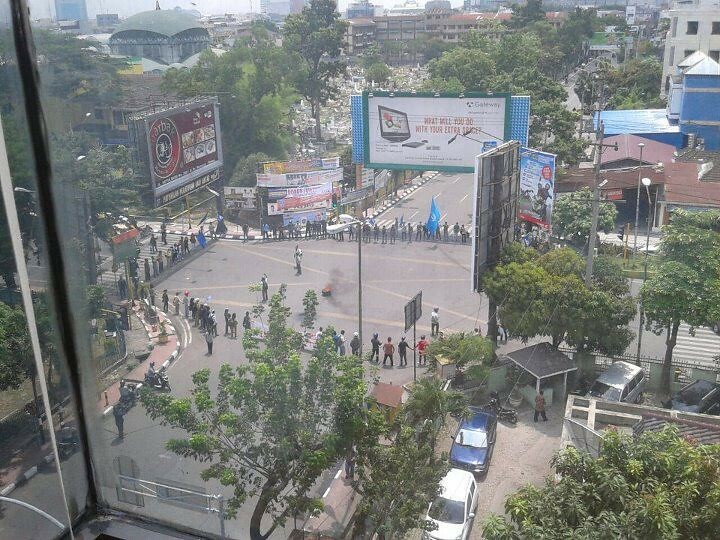 And remember: Don't guess the country : just Indonesian cities ! Understand now, so let's start the guessing! Last edited by bozenBDJ; May 29th, 2013 at 10:57 AM. Reason: Updated rules on May 29, 2013. West Java, Central Java, East Java? No, but you're close on the first one. Yes 2 more points for you . Hanya ada Pulau KALIMANTAN di wilayah Teritorial Negara Kesatuan Republik Indonesia. Last edited by bozenBDJ; March 23rd, 2013 at 07:36 AM. Last edited by bozenBDJ; March 24th, 2013 at 10:29 AM. I will post later! I have to find a nice city! What city is this ? It was my turn tun post a city!!! I was on the point to posted and I saw yours! Java? Sulawesi? Borneo; a.k.a. Kalimantan? This post is also my 1.111th post. Last edited by bozenBDJ; March 24th, 2013 at 10:30 AM.